When the Cleveland Browns selected quarterback Baker Mayfield with the first pick of the 2018 draft, they initially said he would backup Tyrod Taylor. That plan lasted until Week 3, when Mayfield went into the lineup after Taylor had suffered a concussion against the New York Jets. All Mayfield did that Thursday night was help the Browns end their 19-game winless streak with a 21-17 victory over the New York Jets. Mayfield has started the last six games. 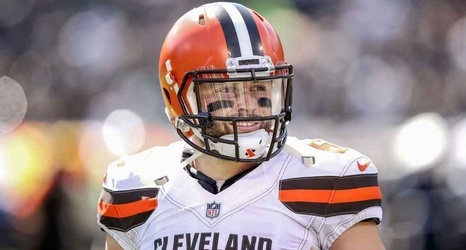 This past Sunday’s loss to the Kansas City Chiefs was Mayfield’s first outing since the Browns fired coach Hue Jackson and offensive coordinator Todd Haley.